If you're looking for some great free things to do in Vegas, there are some amazing treats for you and the family awaiting. Many casinos in an effort to bring in more and more business are offering elaborate shows free for the family in an effort to bring more warm bodies into their casinos and out of their competitors. This is a win win situation for tourists and locals alike who are seeking entertainment that will leave a little money in their pockets to spend at the casinos (which is exactly what the casinos were hoping for). 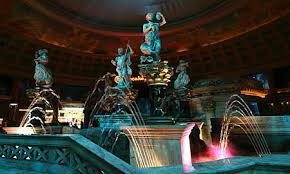 Fall of Atlantis Show at Caesar's Palace. This particular show is a laser, water, and light show that features wonderful animatronics action. Also notice that the show's platform is actually a salt-water aquarium. You can see divers feed the fish each day at 1:15 and 5:15 while another staff member is on hand to answer any questions you may have and explain a little about the facility. You can actually take a tour of the facility at 3:15 each day. Enjoy watching the gods as they entertain you rather than us entertaining them. The Cambridge Community Center offers a free movie and popcorn each Saturday at 1:00. Each week a different movie will be shown and children under 12 must bring an adult to keep them company. You can check out which movie will be playing by checking out the posting on Friday. Another great Vegas freebie is daily performances of the Hawaiian Marketplace Island Performers. If you thought you couldn't find the spirit of Aloha in the middle of the desert, think again: The 80,000-square-foot Hawaiian Marketplace brings a taste of island-style shopping to Vegas. Modeled after the International Marketplace in Honolulu, the outdoor shopping center features tropical plants, bright colors and larger-than-life Hawaiian statues. d) all of the above, then this is your one-stop shop. These performances take place throughout the day from 11:00 am until 10:30 pm and feature wonderful dances that will remind you of the island. See hula dancers, fire and knife dancers, musicians, lei makers, and animatronic birds. The performances are free and take place at the Hawaiian Marketplace. 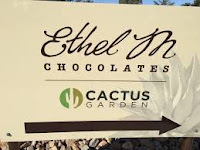 Ethel M's Chocolate Factory. The admission for this self-guided tour is free as is the first sample, but who can eat just one chocolate? Be sure not to leave this tour empty handed, as you'll be kicking yourself once you get back to the room and have a craving for something sinfully sweet. 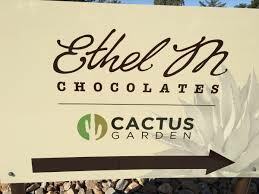 In addition to the chocolate factor is the Botanical Cactus Garden that is open from 8:30a.m. until 7:00p.m. daily. 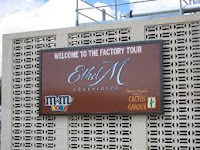 Another great thing to see on this particular tour is the Living Machine, which as waste-consuming ecologies that turns 32,000 gallons wastewater each day into water that is clean enough to use for irrigation purposes.To celebrate the 35th Anniversary of Ethel M Chocolates the self-guided viewing aisle and the chocolate shoppe have been completely remodeled. The redesigned self-guided tours are free and open to the public. The Marjorie Barrick Museum of History, which is located on the University of Nevada Las Vegas Campus, is another place to go and learn while being entertained. Admission is Monday through Friday from 8:00 until 4:45 and on Saturday from 10:00 until 2:00. Admission is free and the museum is closed on all state and federal holidays. 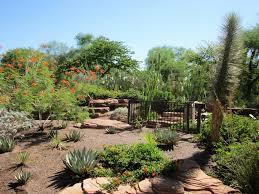 This museum offers a great display of Western culture and the history of ancient Mexico. Featuring work by: John Bauer, Christopher Duncan, Kara Joslyn, Lester Monzon, Julie Oppermann, Kim Rugg, Christopher Russell, Heidi Schwegler, Meghan Smythe, and Ryan Wallace, Process is a showcase of ten contemporary American artists who are reshaping the Process Art tradition into a profound expression of twenty-first century studio practice. Visitors can expect to encounter a fresh and perhaps unfamiliar field of art-making in which process is celebrated and the finished object is not always the principle focus. This exhibition combines traditional Mexican masks with contemporary artwork to blur the lines between art and artifice, self and other, being and nonbeing. Far from static artifacts, masks point to shifting meanings and challenge us to question notions of identity. Karen Roop's enthusiasm for new ways of diversifying UNLV’s English curriculum has led to years of fruitful collaboration with the Marjorie Barrick Museum, where students have learned to assimilate the visual arts into their critical vocabularies. Roop will integrate Masking, her first curation, into ENG 101 classes during the Fall semester. No matter what your specific interests are there are plenty of wonderful things to see and do in Las Vegas that do not put a strain on the pocketbook at all.